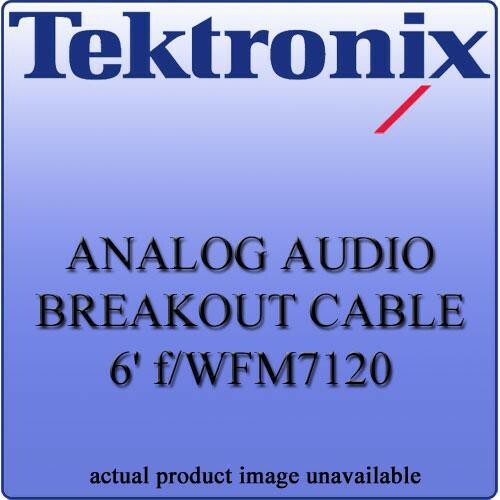 The WFM712062 Analog Audio Breakout Cable from Tektronix is designed to manage audio connections with your WFM7120 Multi-Format Waveform Monitor. One end of the cable features a 62-pin male connector while the other end includes (8) XLR male output connectors and (12) XLR female input connectors. This unit is 6' in length. Use this cable to better manage multiple audio connections with your instruments. Box Dimensions (LxWxH) 12.0 x 9.5 x 4.0"